It’s time to toss out the frozen dinners and fast foods; these foods are high in calories and low in power food nutrients. For fat loss (and an all-around healthy body), stick with foods that don’t come in a box or out of a drive-thru window. 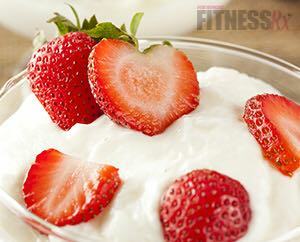 We came up with a list of power foods that are packed with nutrients and are low in calories. This means you can eat more to weigh less! Add these to your routine and you’ll be on the fast track to a flatter and sexier tummy. No need to toss out the yolks; this part of the egg is loaded with fats and nutrients that can most definitely help you trim the fat. 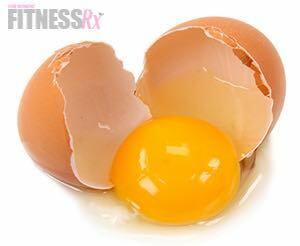 Eggs are high in protein; the white alone contains only protein while the yolk contains proteins and fats. If you’re concerned with calorie content, try ditching two of the four yolks when making a four-egg omelet. Not just for kids, peanut butter is a wonderful healthy fat source that can boost fat loss and provide energy. Just be sure the ingredients include ONLY peanuts and salt. Try smothering a tablespoon on your morning toast or tossing a dollop in your protein shake for a flavor boost and fat-loss kick. Just don’t overindulge; peanut butter is nutrient dense, meaning a small portion packs a lot of calories. Pay attention to portion size and there’ll be nothing to fret about. A deviation from the norm, this spin on your average yogurt is thicker and more satisfying than what you’ll typically find in your neighbor’s fridge. Higher in protein and lower in fat than your average yogurt, Greek yogurt is ideal for a light snack at work or on the go. Toss in some fresh blueberries and you’ve got a power-packed meal that’s high in protein, carbs and antioxidants. That’s right, this classic favorite is just as rich in phytonutrients as your other favorite berries. Strawberries unique phenol content makes them a heart-protective fruit, an anti-cancer fruit, and an anti-inflammatory fruit all rolled into one. Not only that, but a study from the journal Nutrition found that including strawberries in your diet daily for four weeks lowers cholesterol and lipid peroxidation in women with metabolic syndrome. This means they’ve also got a stress-lowering quality. Get with the program; have some strawberries! Ever had a bison burger? If not, you’re missing out. Bison is lower in cholesterol and saturated fat than even your leanest cut of steak and is still packed with so much flavor. Stop by your local organic grocer and pick up some ground bison meat, season with some salt and pepper, and toss on the grill. You’ll notice a soft, buttery mouth feel that leaves you salivating for more. This lean cut of meat is all protein and all right! Black beans, kidney beans, even chickpeas are all healthy sources of carbohydrates that fall pretty low on the glycemic index. This means you can enjoy a delicious side dish without creating an unfavorable blood sugar response. Try adding them to your breakfast omelet with some low-sugar tomato salsa for a Mexican delight. 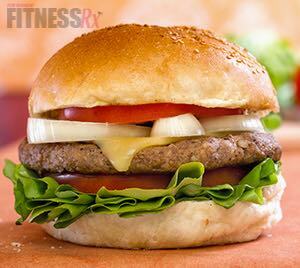 With this power-packed meal, you’ll be fueled for the day! An old classic, this oil is high in mono and polyunsaturated fatty acids perfect for melting the fat right off your body! 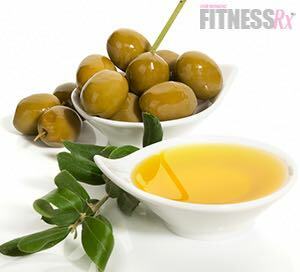 Use olive oil in place of other salad dressings or even butter on your favorite slice of whole wheat bread. Saute with some salt, pepper and olive oil and you’re in for a real treat. These little beans are interchangeable with American green beans, yet are just that much more fun! 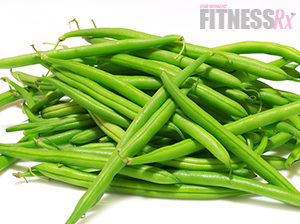 They’re loaded with vitamins and nutrients, including iron, and are rich in antioxidants. They’re also an excellent source of dietary fiber, helping you reach your daily goal of 30-40 grams per day to keep things moving smoothly. Enjoy in a cold salad or as a hot side dish to your favorite entree. These days, it seems like good, old-fashioned brown rice is being overshadowed by new much cooler grains like quinoa and buckwheat. What’s wrong with enjoying a little of the old school stuff?! Brown rice is packed with much of the same fat-burning nutrients as other grains, yet it’s perfect paired with stir-fry chicken and vegetables, or even with your eggs at breakfast. Either way, you’ll find brown rice to be a vitamin- and mineral-rich food that provides energy to fuel your workouts and the day. This citrus delight is high in Vitamin C as well as other power-packed ingredients shown to boost the fat-burning process. 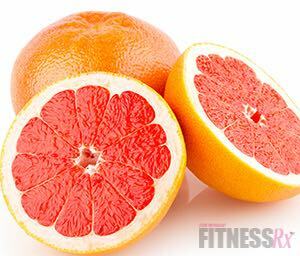 One half grapefruit contains about 10 grams of carbohydrates, making this a perfect addition to your morning breakfast, lunch or post-workout meal. In a 2006 study in the Journal of Medicinal Food, 91 obese patients were randomized to either a placebo, 7 oz grapefruit juice, or half of a grapefruit. After 12 weeks, the half grapefruit group lost 3.52 pounds, the grapefruit juice group lost 3.3 pounds, and the placebo group lost 0.6 pounds. The mechanism of weight loss is unknown. However, it’s obvious that including grapefruit in your weight-loss diet will lead to faster results. If you’re not into grapefruit alone, try sprinkling on some artificial sweetener like Splenda or stevia for a delicious treat!